My Father Which Art in Heaven…. Every year it is the same. I have to select Father’s Day cards for other fathers in my family, but all I can do is think of the one missing, the one ripped from my life, killed by hate. Gall rises in my throat. I clench my teeth. My father’s words run through my mind, “Don’t let anyone or anything have dominion over you but God.” But tragedy changes you, shapes you into someone new. I sit here looking at the blank page. The words come with difficulty. I desire to write a tribute for Father’s Day, but to be honest, it is a difficult time for me. My mind reels against me for it is too painful to walk down that path again. I have fought so hard to rise above the grief, to climb up that spiral of sorrow. 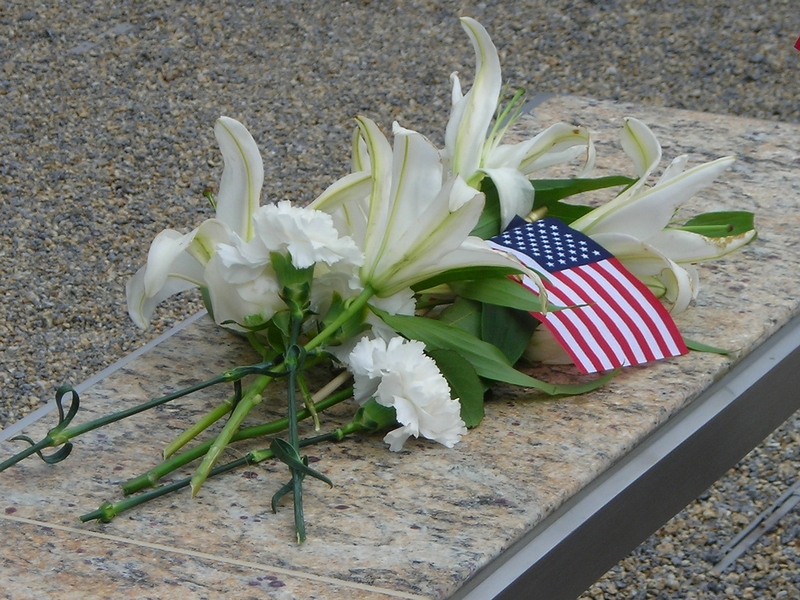 It begins with Memorial Day, that downward trek into grief. I struggle to rise, clinging to the sides of the spiral. I do not want to slide back down. The upward journey is too hard. But it is the way is has been since my father was taken on that terrible day, September 11, 2001. I fight against myself: want versus will. 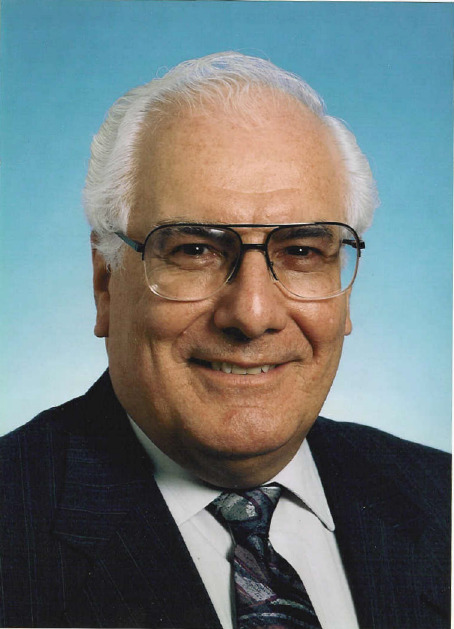 I am weary of thinking about my loss, yet I was so privileged to have had such a good father. And so I push back against the pain to share with you my father. Whenever I needed help with homework, I often ventured downstairs to my father’s office. He was always willing to stop his own work to come to my aid. Often I desired his assistance in achieving the solution to one particular math problem, but he would go into a long dissertation attempting to lead me to understand the reasoning behind the mathematical operation. I would grow impatient, wanting to get on with it so I could just finish my homework and move on to more interesting pursuits. Nonetheless, he would continue until I had a solid grasp of the concept. When I had questions about the Bible or God, my father would never just come out and provide me with direct answers. He would put on that crooked smile of his, lean back in his chair, and point to his bookshelf. I would sigh, my shoulders slumping, wanting quick answers. Then I would search his library until I found what I needed to resolve my query. Now, as I look back, I am so thankful for the instruction he gave me. I have spent my life seeking answers to questions, desiring to learn and understand. Research has become my passion. Really, I could spend all day researching any number of topics. I credit my father for this love of learning that I now possess. What I saw as a frustration when I was teenager, I cherish now as a gift. And so, I pass the teaching on to my children. I see the same frustration in their eyes, and I smile and thank God that I was blessed to have the father that I had. I remember when we lived in Westlake, California, waking up to the sun filtering through the window of my bedroom. My window was open, as it often was, filling the room with the wholesome morning air, the kind of air that takes you out of yourself. The sound of the pool filter humming met me as I rejoined the waking world. It was a warm, comforting sound. I would look out my window and see my father working on the filter or cleaning the pool. How safe I felt knowing my father was always there. He was a safe harbor. There was something in my father that spoke of assurance and power. His very presence was overwhelming. His Being spoke of something great and important. My father was a serious-minded person. He was a humble man. Never did I see him put on airs or become puffed up by his own brilliance. Yet, this humility did not engender in him a sense of passivity that allowed others to sway him when he knew he stood in the right. He possessed a quiet stubbornness, which my husband will tell you I inherited, that provided him with the staunchness to stand his ground. This stubbornness grew into a resolve to live his life with integrity, despite the pressures and trials of life. With hard work and tenacity, he believed all situations could have a favorable outcome. Though often shy with people, his affable nature often overcame his feelings of bashfulness, his commanding presence covering up any evidence of his uneasiness. Favorably disposed, he was a man upon whom one could depend. Understated by design, my father maintained a firm composure under the most extreme circumstances. Though his attitude was one of restrained equanimity, he did not demonstrate a dull persona. Predominately serious in nature, my father was not without humor. When he bought his first wash and wear suit, he did just that. 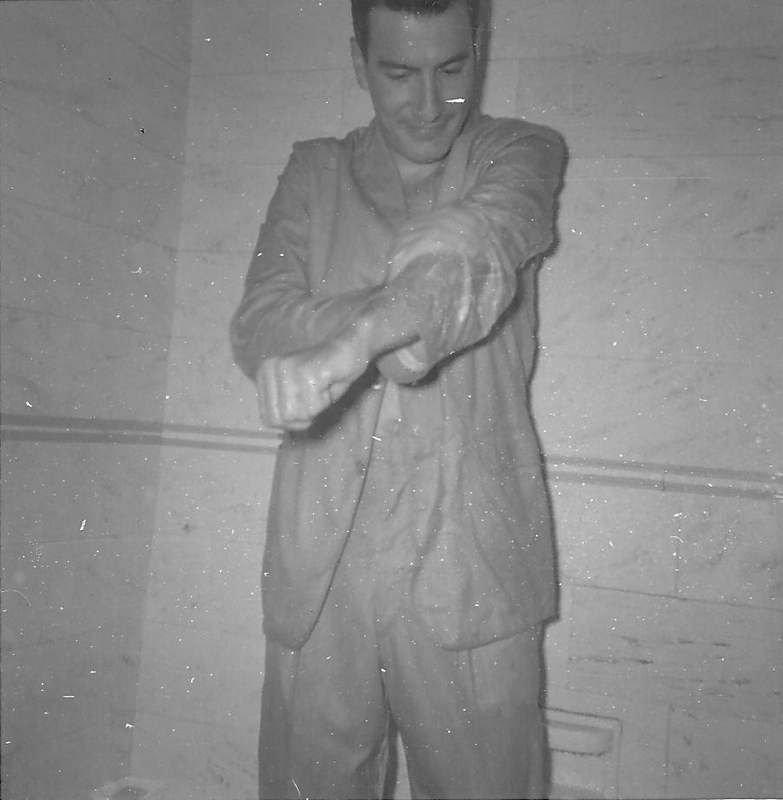 He wore the suit, entered the shower (still arrayed), and proceeded to wash it with a bar of soap. My mother captured this event in a photograph that I have always enjoyed gazing upon with a giggle. When I was a child, my father would quietly sit at the kitchen table while we ate dinner. Then he would begin singing, “Daddy sang bass, Mama sang tenor,” using amusing voices—the bass part in his lowest bass, the tenor voice, his best female falsetto. We would all roar with laughter. We cherished these few glimpses, for he rarely showed his lighter side. Often my father was seen making a trek across the lawn on his riding mower, waving to the neighbors. Or walking behind his snowblower, a monstrous machine in which he took great pride. Many a weekend, he would walk through the woods behind my parent’s house, tending the dogwood trees, which were highly favored in his sight. Among the trees, he labored to build a flagstone patio where he envisioned the family gathering to pick crabs. It was this patio that he worked on the weekend before September 11. With just a few stones left to place, he quit for the day, telling my mother that he would finish the job when he returned from his trip to California. He never had the chance to finish. My brother completed the task as a labor of love and remembrance. The patio stands as a symbol of my father’s life unfinished. My father spent most of his time pursuing solitary endeavors. He kept his thoughts close. When it came to emotions, expressing himself verbally was difficult. He could not initiate a hug or form the words, “I love you.” As I became an adult, I decided I would hug him. At first, I found that I had difficulty initiating the hugs, but the more I pushed myself, the easier it became. Always, when he came to visit me while on business, he would linger at the door as though waiting for something. I would reach out and hug him, and then he would hug me back. Sometimes, words are difficult. My father always said that actions speak louder than words. Though very busy with work, my father always took time to attend our music and sporting events. He was often in the role of assistant coach to our sport teams. His actions never failed to say I love you. He could never tell us outright that he was proud of us, but we could see it on his face. 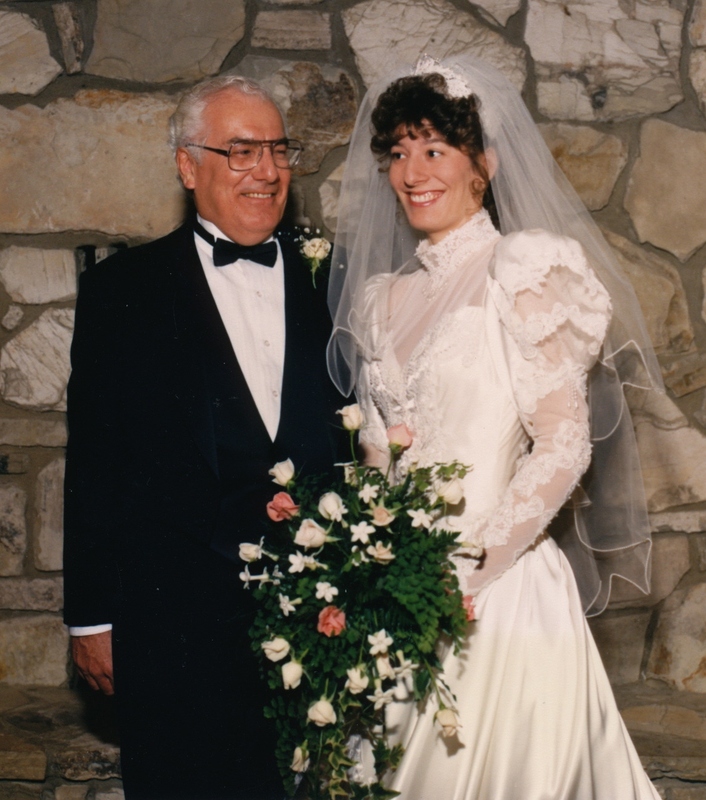 On my wedding day, as I slipped my arm through my father’s as he prepared to walk me down the aisle, I looked into his eyes and saw them well up with tears. I will never forget that expression. No words were necessary; his eyes said it all. My sister told me of a conversation she and her husband had with my father on the Labor Day before September 11, 2001 regarding the end of time. My father had said the main point to remember is that the end will come, and we just need to be sure we are ready. How profound, for within a week’s time my father was taken. He often did not say much, but when he spoke, his words were thoughtful and wise. We will probably never know why some people were saved and others were lost that day. Maybe it is not for us to know. What I do know is that God holds tomorrow, and there are no better hands to hold it than the Lord’s. There is no question in my mind that on the morning of September 11 my dear father followed God and entered into his glory. Many of us have been fortunate to have had an earthy father that gave us insight into the heart of God. I thank the Lord for a godly father, who stood for integrity, faith, honor, and love. Biography excerpts taken from SILENT RESOLVE AND THE GOD WHO LET ME DOWN (a 9/11 story). To learn more about my experience with September 11, 2001, read my book: SILENT RESOLVE AND THE GOD WHO LET ME DOWN (a 9/11 story). You can find it at Amazon, Barnes and Nobles, or your area retailers. I am pleased and honored to announce that my novel, THE STONE OF EBENEZER, has been selected as a finalist in the WestBow Press and The Parable Group Aspiring Authors Writing Contest. This is the second honor for this manuscript. On to round two – The winners will be announced on June 21, 2014. Revenge. His blood burns with a shaking rage.He does not forget. NAGAD’s life was perfect until it was torn apart by the ravages of war. Now, haunted by his past, this young conscript must meet the enemy in battle. With shaking rage the nations collide in a fierce conflict for dominance. Yet more is at stake than the survival of a people. The dispute contests the claim of immortal supremacy, the outcome to prove whose god reigns omnipotent. But they are wrong. The appetite of the bloodthirsty Philistines is not yet satisfied. 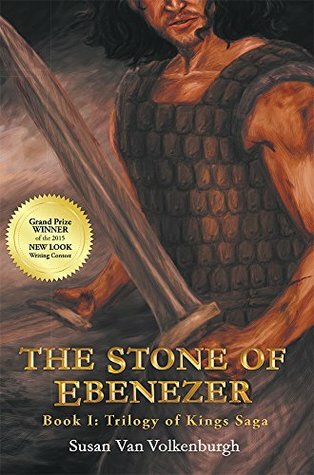 In the days of the last judge of Israel, from the foothills of Ephraim to the coast of the Great Sea, THE STONE OF EBENEZER is a sweeping saga of loss and revenge. This extraordinary tale from the Bible is brought to life, woven together in a tapestry of details, accurately portrayed in light of historical, archeological, and cultural landscapes. As nations clash in a struggle for regional dominance, two men, on opposite sides, each strive to overcome the past and reconcile faith in his god. Beyond the Biblical account of the conflict at Aphek and the ensuing trouble that follows the Ark of the Covenant, this story transcends to the post-9/11 world and the crisis of faith brought about by loss and grief. THE STONE OF EBENEZER moves beyond the field of battle, looking intimately into the hearts and minds of those dwelling within opposing nations. Influenced by the works of Tolkien and Dickens, and in the vein of Hadassah: One Night with the King by Tommy Tenney and Mark Andrew Olsen, this Biblical fiction, takes the reader on a journey that spans the breadth of twenty years. An amazing, vivid account of biblical events is historically accurate where God’s judgments, treacherous journeys, blood battles and even romance come alive to the reader in this skillfully written epic story.